The Middle East and North Africa (MENA) is the region of superlatives: though its workforce has grown at the fastest annual rate in the world (2.7% in the past 10 years), youth unemployment is also the highest, at around 25% of the population. The latter is a persistent problem, and has been identified by our respondents as the biggest challenge MENA faces, alongside the management of political transitions and societal tension. 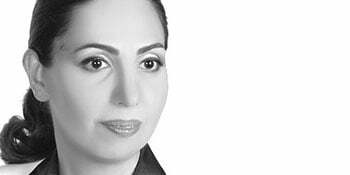 Dr Rola Dashti, former Kuwaiti Minister of State Planning and Development Affairs, attributes youth unemployment to a dysfunctional education system, inherent skill mismatches, labour market rigidities, and a growing labour force. Our societies are becoming more fragmented, and this needs to be targeted in the form of social and political reforms. and enhance labour market flexibility. MENA’s authorities must find a way to foster entrepreneurial spirit – but to do this, the public must be convinced that they will directly benefit from a healthier private sector. As things stand, many citizens believe that private sector growth will come at their expense. Dashti further believes that there is a direct correlation between this social despair and the rise of sectarianism across the region. While countries across MENA have their own specific issues to confront, Dashti also notes the tendency for problems in individual nations to spill over and affect their immediate neighbours, as seen recently in Syria and Iraq. She is therefore in favour of complementary region-wide initiatives encouraging socio-political stability and regional trade. These initiatives could ultimately create the stability that MENA needs.